When asked about the impact the NHLPA Goals & Dreams program is having on the community of Watson Lake, Yukon Territories, RCMP Const. Jean-Michel Sauvé came up with a long list of examples. But, there was one moment in particular, he noted, that summed it all up perfectly. It was the final stop on the multi-city 15th Anniversary Tour of Goals & Dreams Tour. Goals & Dreams is, the largest grassroots hockey assistance program in the world, the one thatand has contributed over $22 million to hockey programs and related causes in 33 countries. For Sauvé, the celebration, headlined by the presence of current NHL players Mike Smith, B.J. Crombeen and David Booth, will have a lasting effect on those in Watson Lake and well beyond its’ borders. “There are so many things you can speak of when it comes to what this means to this town,” he said. “But, I think it was something that happened the first day (August 1) that really put it all in perspective. Hosted by the WLMHA and Watson Lake RCMP, in partnership with JDS Silver, ATCO Electric Yukon, and Air North, Yukon’s Airline, Goals & Dreams visited the town of roughly 1,000 people for two days, August 1-2. The group of past and present players, including Crombeen’s father, Mike, a St. Louis and Hartford alumnus, and Brent Gilchrist, a Stanley Cup champion with Detroit, engaged the Yukon youth in the sport of hockey, encouraging healthy lifestyles through physical activity and teamwork. The players also took to local waters for a fishing trip with the kids. Participants from throughout the territory were given the opportunity to take part in a hockey camp on both days, free of charge. Goals & Dreams also committed to donate $20,000 worth of youth hockey equipment to the community of Watson Lake. And, just like Sauvé, Smith saw the impact hockey can have, even on those who have never played the game before. Players and NHLPA staff coached the Sergeant’s Cup recreational hockey game, which included members of the RCMP and Watson Lake Silver Tip Oldtimers. 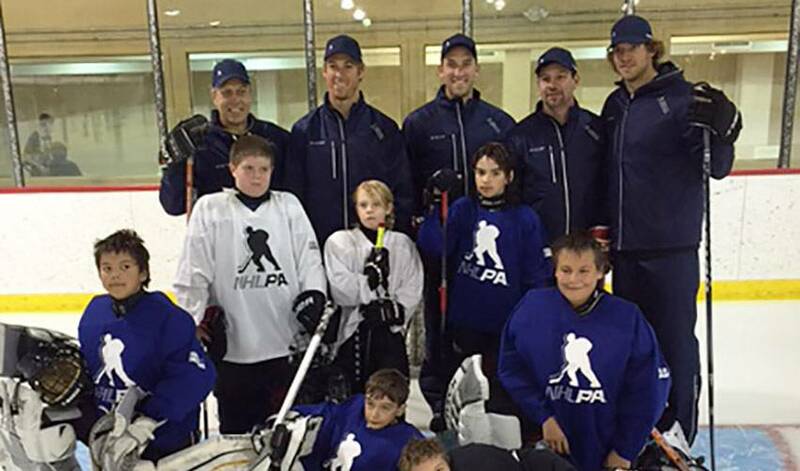 The project will also provide professional development opportunities for local hockey coaches. For more information regarding the Watson Lake stop of the NHLPA Goals & Dreams 15th Anniversary Tour, visit the event Facebook page, or contact the Watson Lake Minor Hockey Association: wlminorhockey@gmail.com.